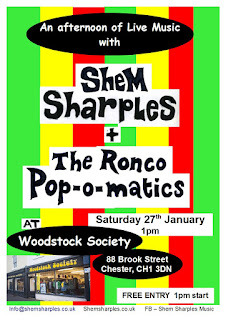 We have this intimate afternoon gig coming up this Saturday 27th January. 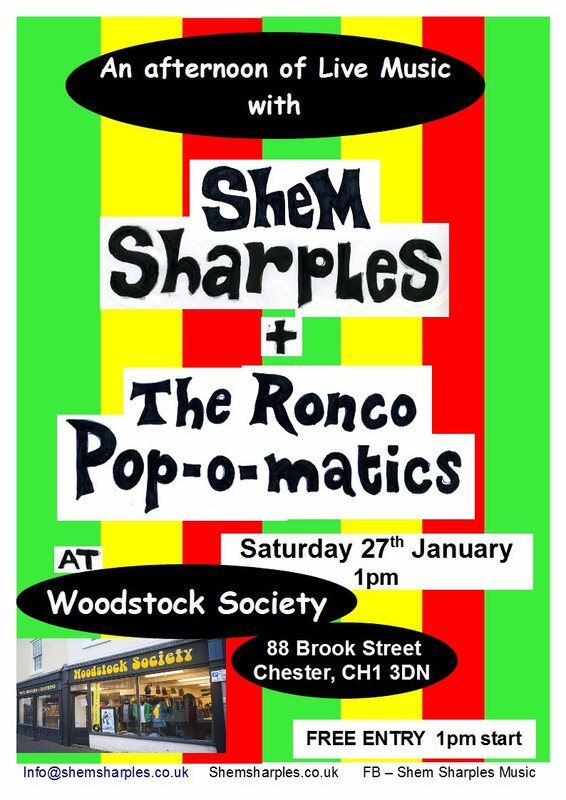 Woodstock Society is the vintage/ retro clothing and vinyl records shop in Brook Street no. 88, next to the Egerton Arms. We'll be making a start at 1pm.